If you’re heading out for beers tonight in Milton Keynes. 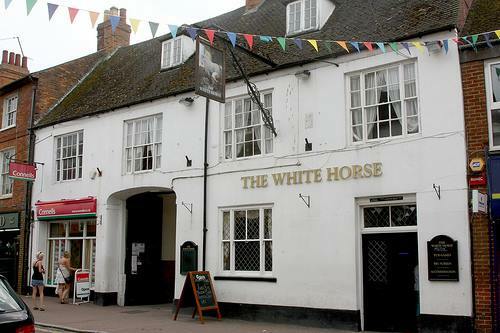 It’d be well worth considering passing by The White Horse in Stony Stratford. 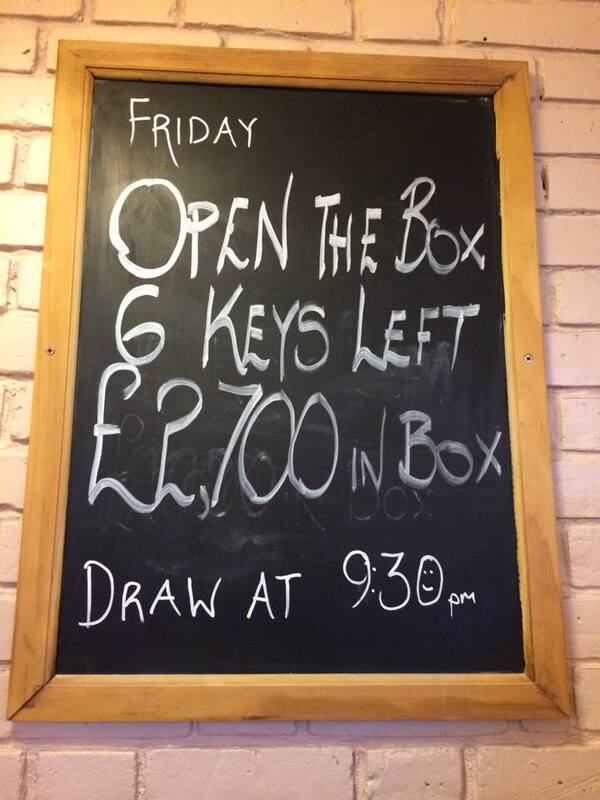 They host a weekly competition every Friday evening simply called ‘Open the Box‘. It starts with a raffle. Simples. With single tickets only costing £1. But, if you’re feeling like taking the plunge, you can buy six tickets for £5, thirteen for £10 and twenty-eight raffle tickets for £20. The raffle draw takes place at 9:30pm and the lucky winner then progresses to the next stage of the competition, and one step closer to that mammoth cash jackpot. So, it’s called ‘Open the Box‘ for a reason. The cash is under lock and key and there’s a set of numbered keys and only one will unlock it. Today (03/07/2015) there’s six keys to choose from. For someone as indecisive as me, this sounds a nightmare decision to make! Once you’ve picked which key you’d like to try and open the box with, they throw a spanner in the works. Now, start thinking Deal or No Deal style. The winner will be offered a sum of money to NOT open the box, they can choose to just walk away and enjoy the cash offer or they can be brave and attempt the key and either scoop the jackpot or leave with nothing. What would you do in that position? I’m just thinking it’s a damn good job this competition is taking place in a pub because I’d definitely need a strong drink to calm my nerves. Anyway, this is happening tonight at The White Horse, Stony Stratford. I thought it sounded a really exciting competition and well timed on a Friday evening. So if you’re down that way, It’s got to be worth a punt?